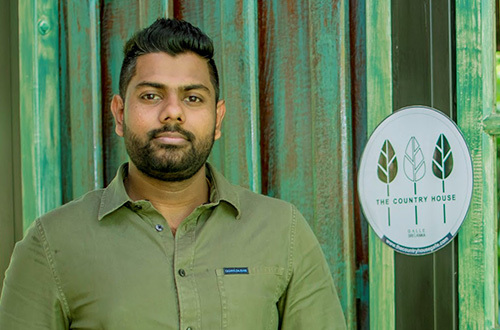 Nipuna is the proud owner and manager of a boutique resort in a green tea plantation within the historic city of Galle in Sri Lanka. He said: “After graduating from the University of Sunderland in London I came back to Sri Lanka where I worked with my dad for one year in our own construction company. I then started building the resort in 2014 and completed the project in October 2015." Nipuna said being the owner of his own resort has been the realisation of a long-standing dream. Nipuna firmly believes that the insights and skills he developed at the University have been crucial to his success since graduating. Looking back on his time at the Canary Wharf campus, Nipuna remembers with fondness the facilities and the highly qualified lecturers and the staff. He explained: “Everyone was super supportive. I loved each day at the University”. “Dr Drissa is the person who encouraged me the most. He was excellent at tuning into every student,” he added.